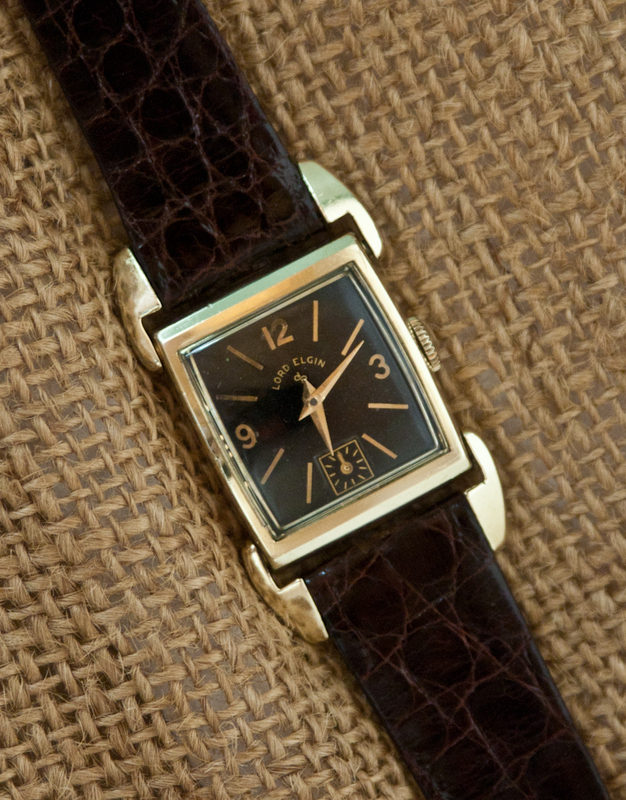 The Model 4625 is one of several driver’s watch designs created by Elgin. This model was, arguably, the most stylish with bold lugs and a striking black dial. 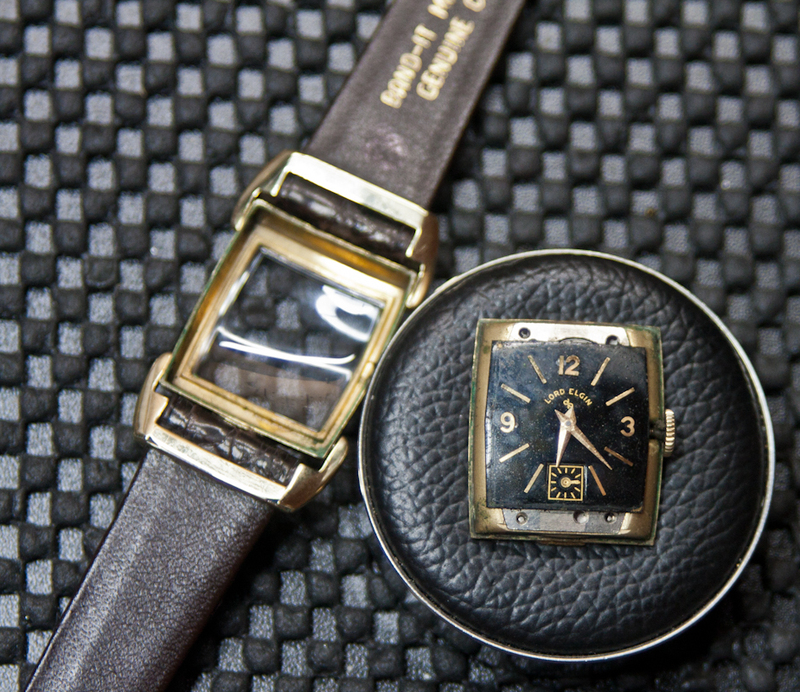 The driver’s watch was a watch designed with swivel lugs to allow the owner to wear the piece on the side of his arm, so it was easily viewed while driving. 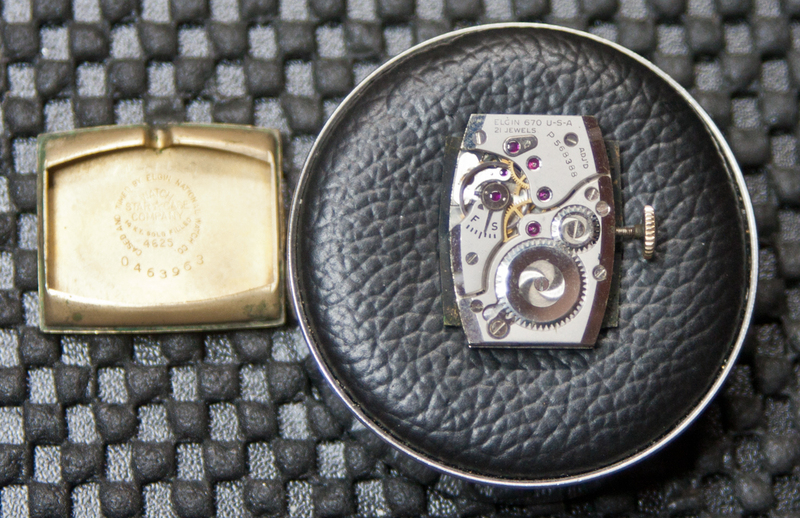 These distinct pieces are pure watch history, a style that has faded. 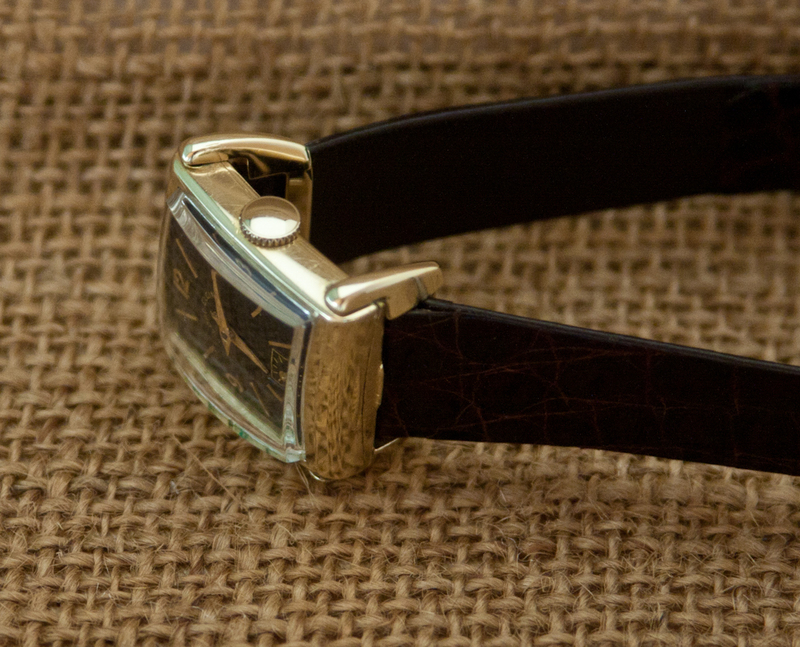 Driver’s watches first appeared in the late 1920s and were gone by the mid-1950s. The example shown here is one of the last models produced, dating to 1951. 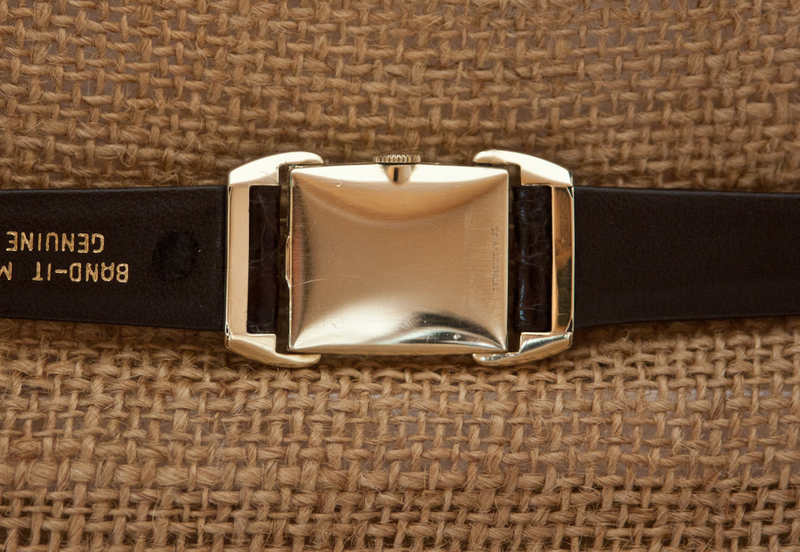 The watch has a 14K gold filled case and a 21 jewel movement (Caliber 670). The watch is in Excellent shape, with no major marks or signs of serious wear. The dial is clean with no marks. The crystal is a new old stock plastic crystal, recently replaced. The watch runs well and keeps good time. 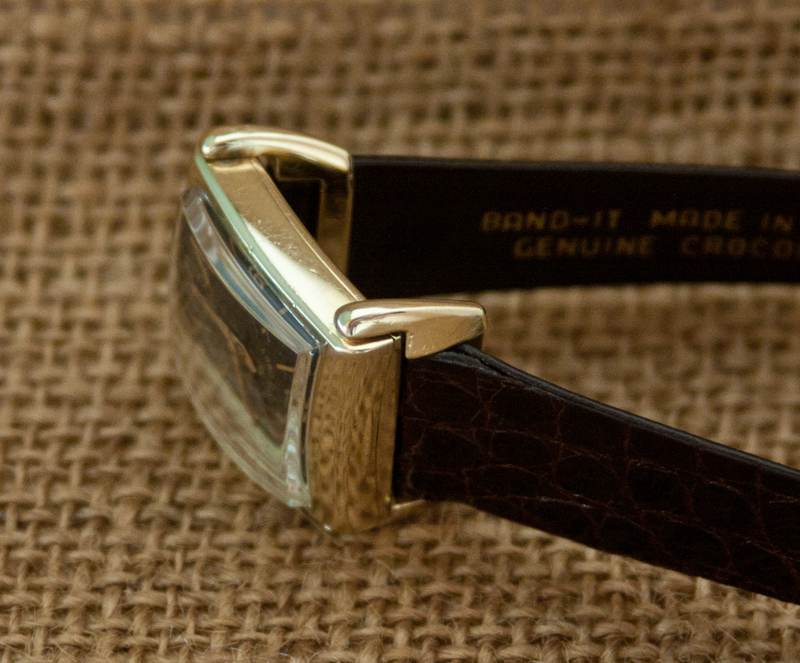 The band is a new crocodile grain leather strap. This is a medium-sized band. The watch is ready to wear. We don’t know the service history of this watch and it has not been serviced while in our possession. While the watch is currently keeping good time, we encourage you to have it serviced to get the longest enjoyment from the piece.